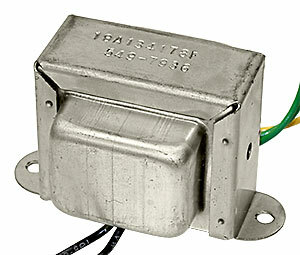 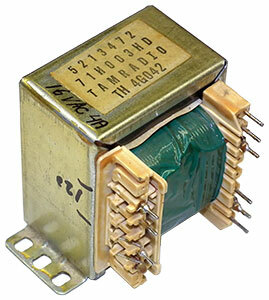 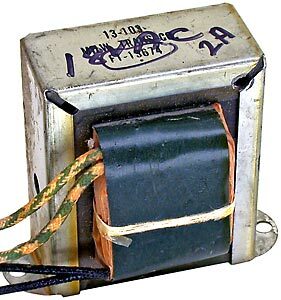 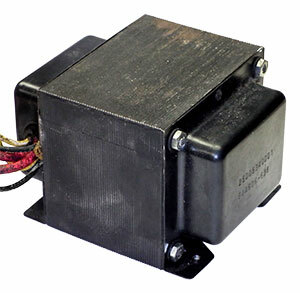 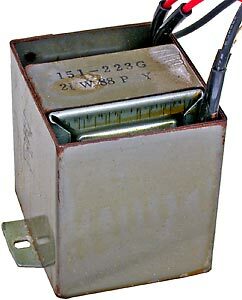 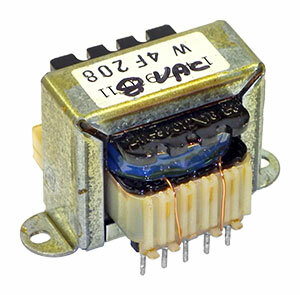 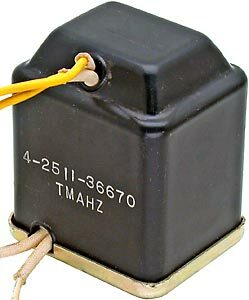 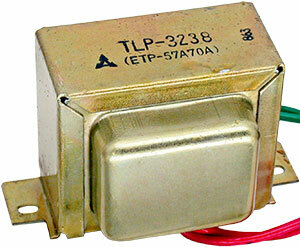 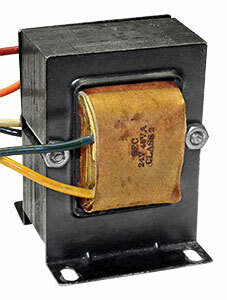 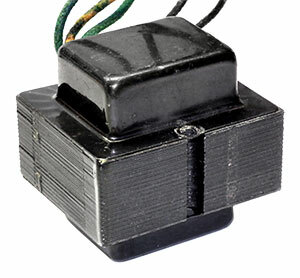 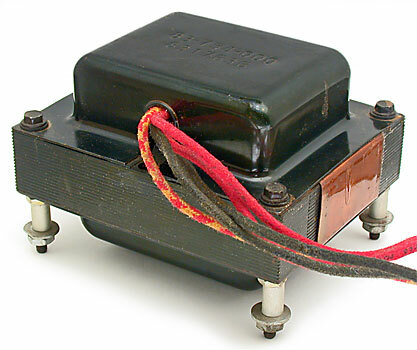 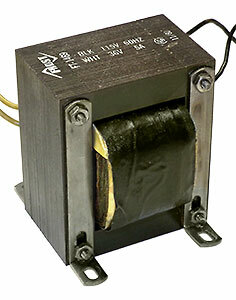 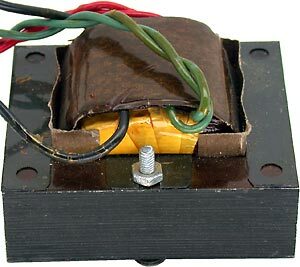 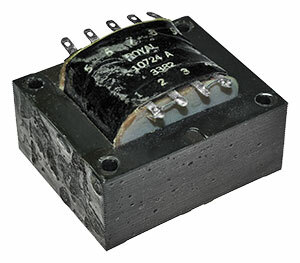 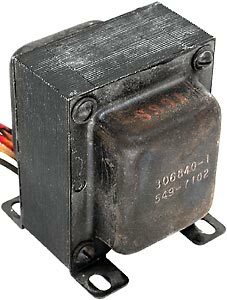 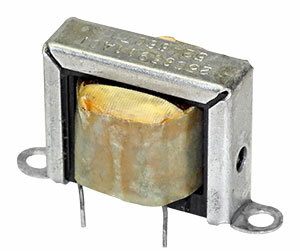 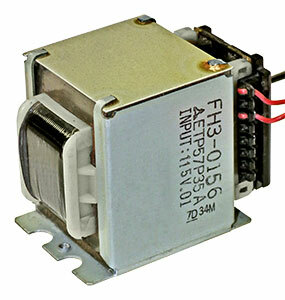 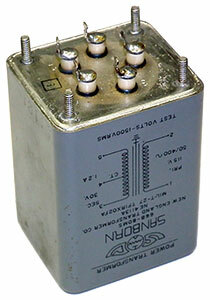 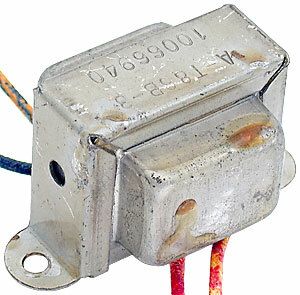 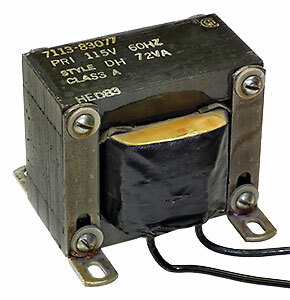 Most part numbers link to a photo and (S) following a number indicates photo is of a different similar looking transformer. 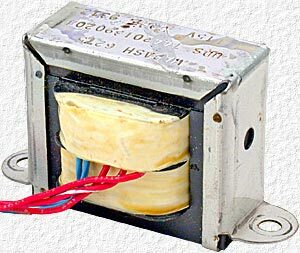 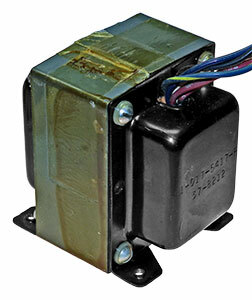 Photos, determining spec's of unknown transformers, etc. 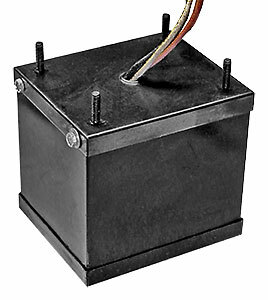 is time consuming & often left until someone makes an enquiry so e-mail if more information is needed. 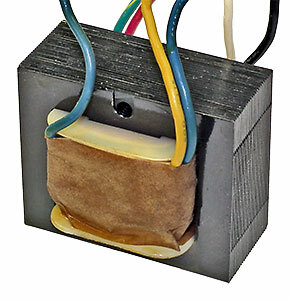 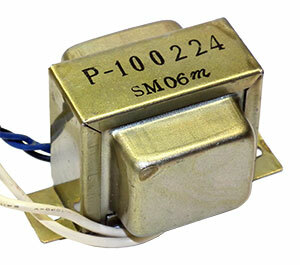 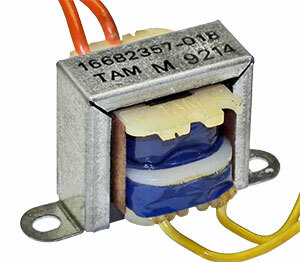 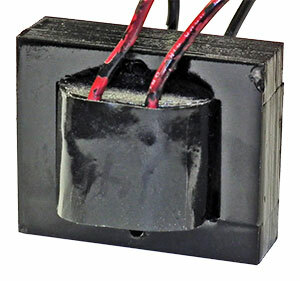 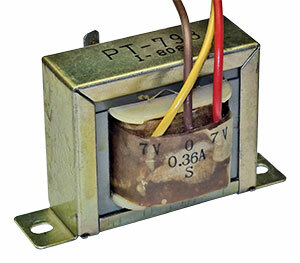 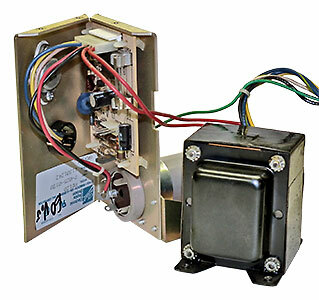 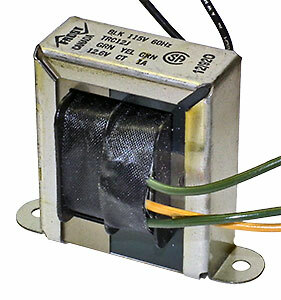 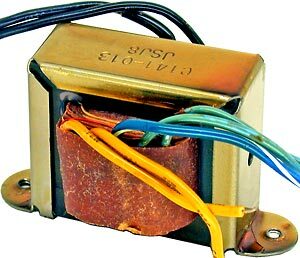 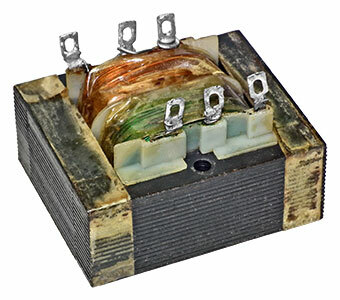 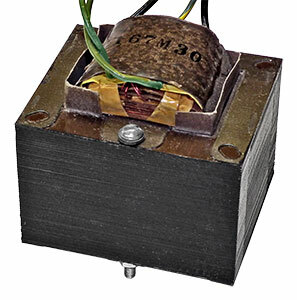 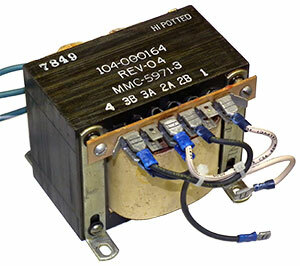 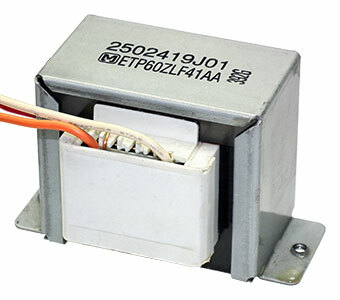 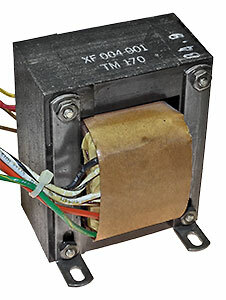 (M) following manufacture name indicates spec's are manufactures, otherwise spec's are based on core size and other parameters commonly used to determine unknown transformer spec's. 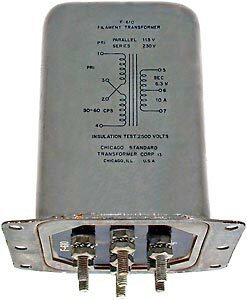 Column SC is a core size code that's explained along with more about the spec's listed for unknown transformers in my Notes Regarding Transformer Spec's. 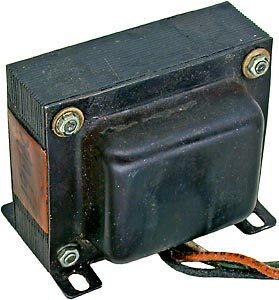 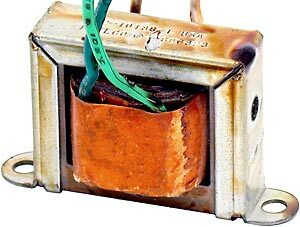 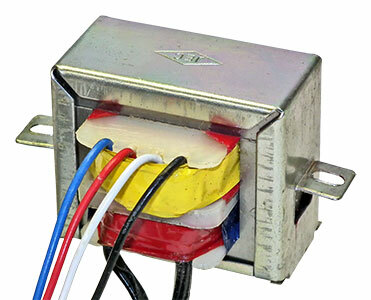 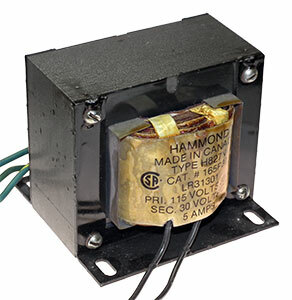 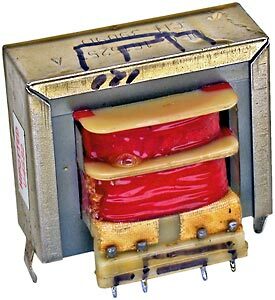 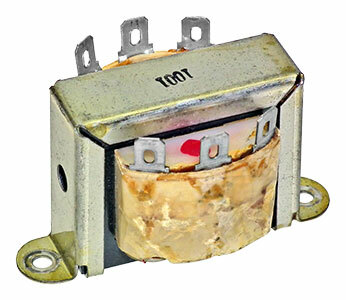 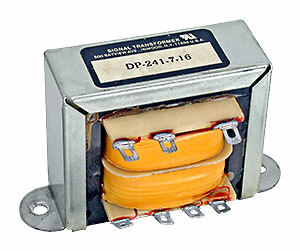 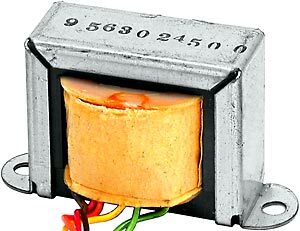 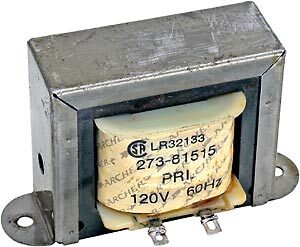 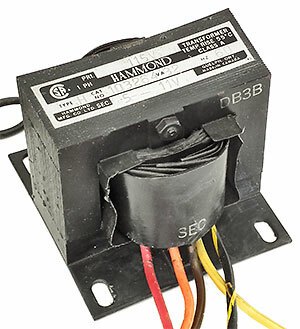 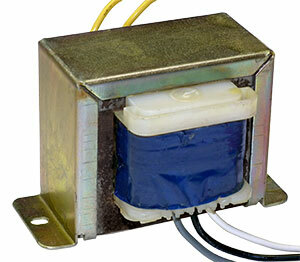 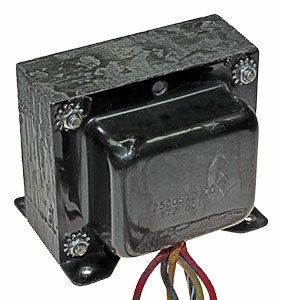 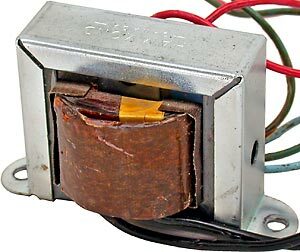 Don't forget to also check for transformers with 2 or 3 or more secondary's that can often be wired in parallel or series to obtain the voltage & current required. 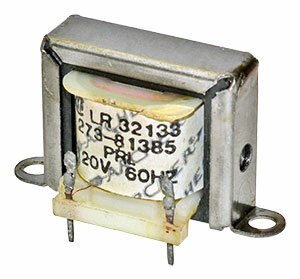 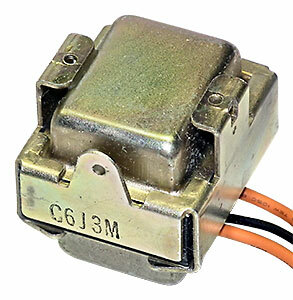 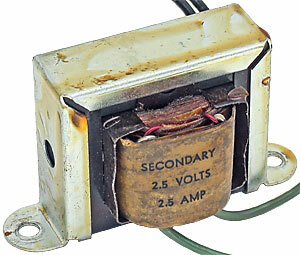 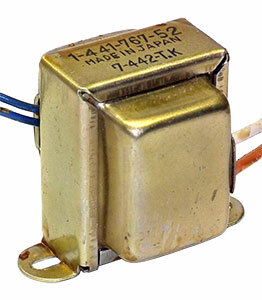 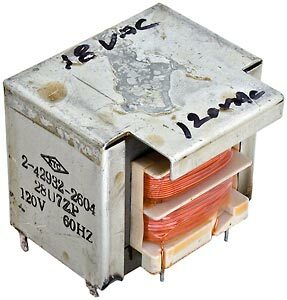 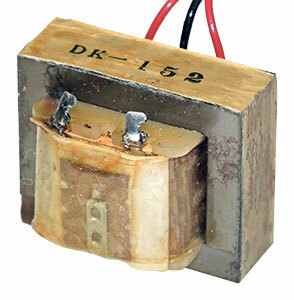 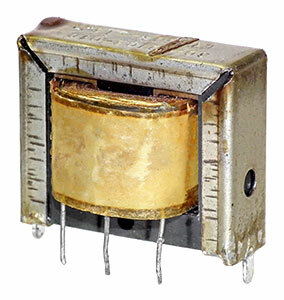 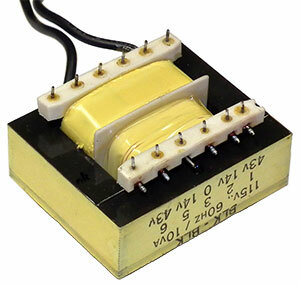 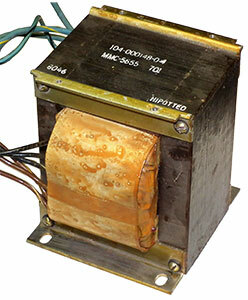 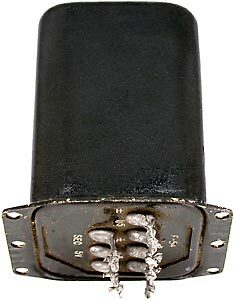 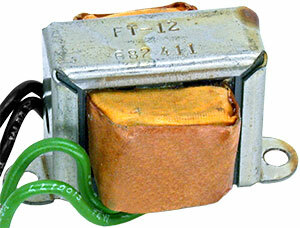 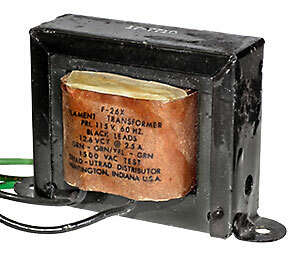 1.6V 22A 35va 1 66B-115MS Sanborn (M) 115 Stylus Heat Xformer for .075 ohm load. 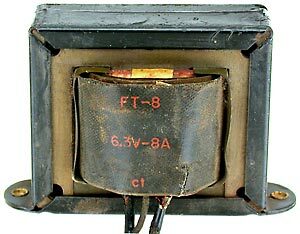 one has no opening cut in it. 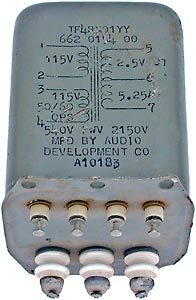 8.0VCT 0.500A 4va B 4 166G8 (S) Hammond (M) 120 Center Tap lead is cut short. 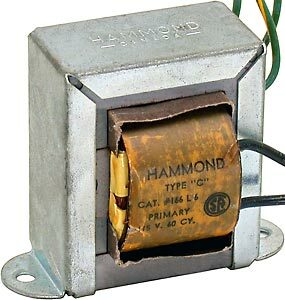 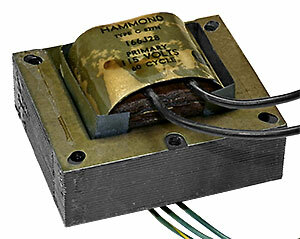 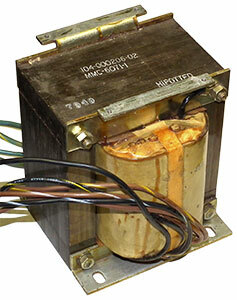 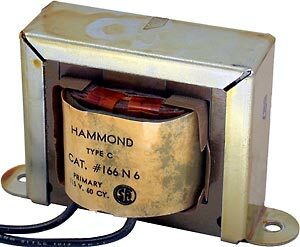 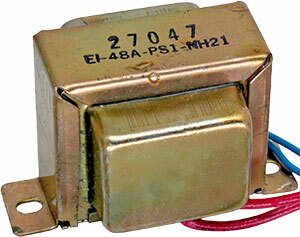 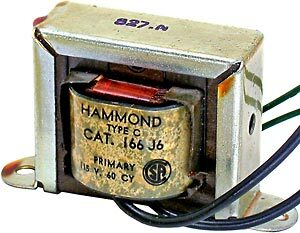 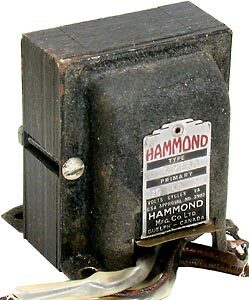 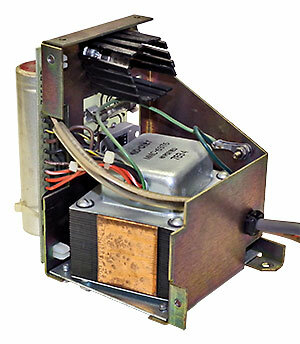 C 1 166F12 (S) Hammond (M) 120 Older Larger Style. 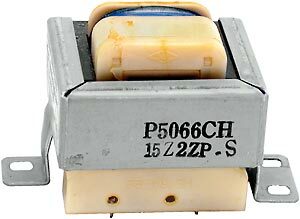 CT lead cut short. 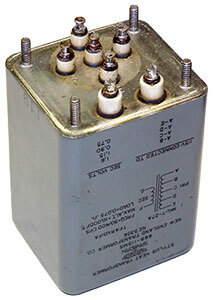 ≈ 1 4-2511-36670 120 Shielded unit from a TV Camera. 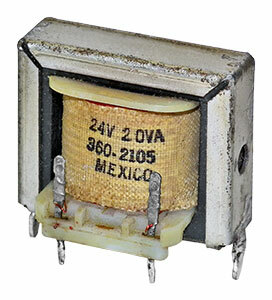 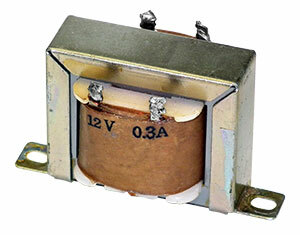 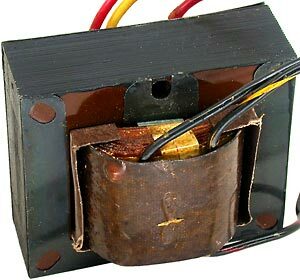 20V 0.800A ≈16va C 1 JEC-1 JEC 120 20V sec. 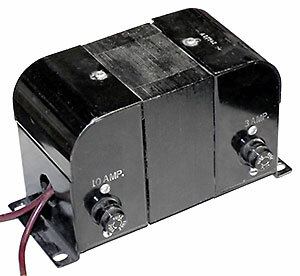 also has taps at 7.9V & 12V. 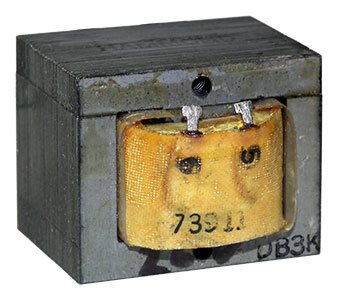 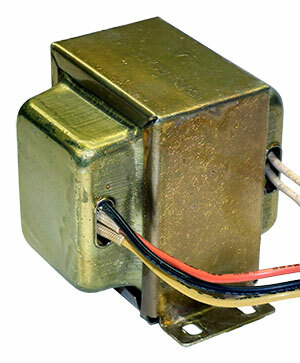 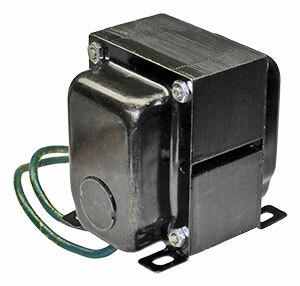 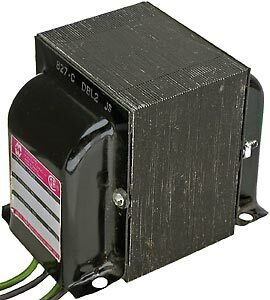 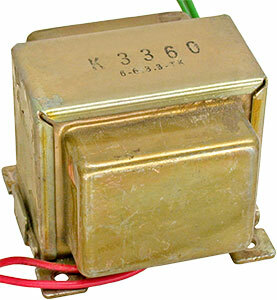 0.83kg 2¼" × 2⅜" × 2⅞"
26V 0.400A ≈11va D 1 4580198-01 120 0.55kg in metal box 2" x 2½" x 1¾"
1.0A ≈70va G 1 6-003-0540A 120/240 In a Ball monitor 60VDC power supply.